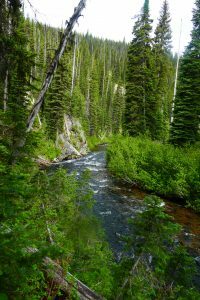 Friends of the Clearwater, a recognized non-profit organization since 1987, defends the Idaho Clearwater Bioregion’s wildlands and biodiversity through a Forest Watch program, litigation, grassroots public involvement, outreach and education. 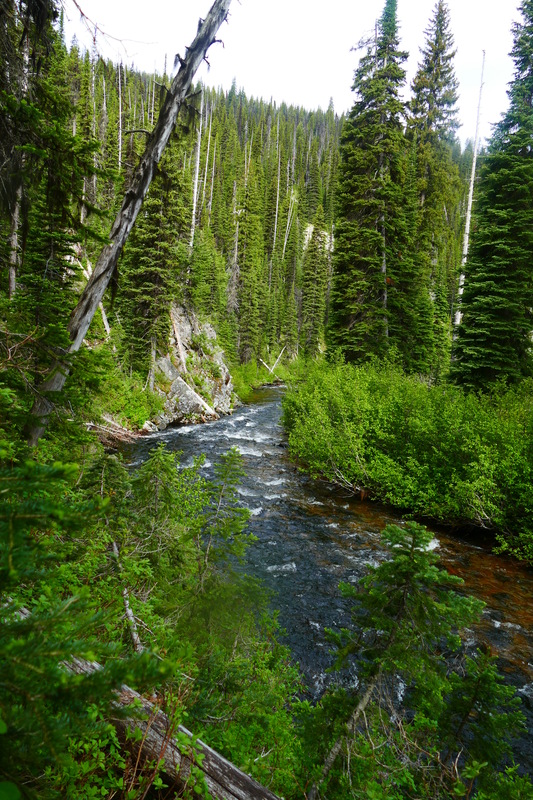 The Wild Clearwater Country, the northern half of central Idaho’s “Big Wild”, contains many unprotected roadless areas and wild rivers, and provides crucial habitat for numerous rare plant and animal species. Friends of the Clearwater strives to protect these areas, restore degraded habitats, preserve viable populations of native species, recognize national and international wildlife corridors, and bring an end to industrialization on public lands. Friends of the Clearwater founder and long-time member of our Board of Directors Steve Paulson recognized the need to honor men and women that have devoted decades of their lives fighting to protect our public wildlands, biodiversity and natural processes, particularly those of the Clearwater Basin and Northern Rockies. As a result, the Macfarlane Plank Award was created in 2006 to recognize and thank individuals that may not have, yet, received adequate recognition for their important work. As a 501-(c)(3), our Board of Directors is responsible for making decisions that guide our organization today and into the future. All board members are elected by the membership at our Annual Meeting & Gathering. Gary is responsible for tracking public land issues in the Clearwater Basin. His duties include analyzing public land agency proposals and policy, submitting public comments, filing appeals of federal agency decisions, and when necessary coordinating litigation. Gary has over 30 years of activist experience and is very familiar with Forest Service policy. He has been recognized as one of the most effective activists in the northern Rockies, and was a recipient of the Alliance for the Wild Rockies Conservation Award in 1997. Gary holds a B.S. degree from Utah State University’s College of Natural Resources. Email Gary. Ashley is responsible for growing Friends of the Clearwater’s membership base and developing relationships with individual donors and foundations. Ashley has two goals: build support to reflect diverse demographics to ensure FOC’s longevity and search for mutually beneficial funding sources promoting public lands protection. She worked in the private water quality monitoring sector as a lab technician and project coordinator for 3 years before moving into her current position with Friends of the Clearwater. Ashley has a B.S. in Resource Recreation & Tourism from the University of Idaho. Email Ashley. Brett is responsible for grassroots organizing, educational programming and media communications. His duties include spearheading community events, publishing educational materials, drafting news releases, handling social media, maintaining the website, co-hosting our weekly radio show and working with students at the University of Idaho, Washington State University, and Lewis – Clark State College. Brett has a B.S. in Parks & Recreation Management from Northern Arizona University, and a Master’s in Natural Resources from the University of Idaho. Email Brett. Katie contributes to Friends of the Clearwater’s forest-watch program by analyzing and commenting on agencies’ environmental assessments and impact statements for timber sales, projects, or other management plans, advising on legal strategy, and conducting some of Friends of the Clearwater’s pre- or post-project monitoring. She also works toward government transparency by facilitating Friends of the Clearwater’s Freedom of Information Act requests and analyzing those responses. Katie is licensed to practice law in the states of Washington and Idaho and earned her juris doctor from the University of Idaho College of Law with emphases in Native American law and natural resource and environmental law. Before attending law school, Katie received a Master of Science in Water Resources from the University of Idaho. We would like to extend our gratitude to those individuals that have given us permission to use their photography for this website: Chuck Pezeshki, Peter Roise, Terry Gray, Roger Inghram, Fred Rabe, Gerry Snyder, Antone Holmquist, Ron Marquart and others.